I enjoyed this book so much. I must admit I was wary about accepting it for review as the author is new to me, but after reading the blurb, I accepted the publisher's offer. I am so happy I did. 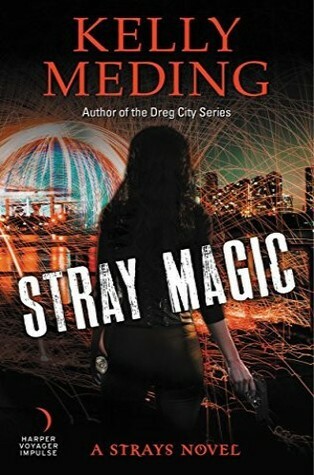 I have been on the hunt for a good Urban Fantasy and this fed my desires. Shiloh is a US Para Marshall with the paranormal investigation unit. She just completed a dangerous mission and hoped to have some downtime with her boyfriend. However, when vampires took a trailer park of residents hostage, her plans had to take a back seat. On arriving on the scene, she would discover her boss missing and has the second in command she was next in line to lead the investigation in the mysterious disappearance of vampires and werewolves. Little did she know the danger and intrigue she and her team would face when they stepped in to solve the mystery behind the disappearance. The story was well written. From start to finish, it held my attention. There were a few moments where I felt I was missing something but after a while, I put the pieces together, which led me on an intense journey. The world the author introduced me to was fun, imaginative and addictive. I could not get enough. Imagine living in a world surrounded by vampires, werewolves, skin walkers, djinns, incubus, goddesses, fairies and so many more supernatural beings. Then there were the mixed breeds, magic both good and bad. Necromancy was the main course served in this fantastical world. Intriguing indeed. The action scenes and the events leading up had me on edge and sometimes I feared for the teams safety. I loved the mystery angle, which I thought was well done. I was on pins and needles trying to figure out who was responsible for the upheaval in the supernatural world and what was their end game. There were a few surprises along the way, which has me turning the pages, as I was eager to discover what was coming next. Character development was on point. I enjoyed meeting the characters, but my favorites were Shiloh a half djinn and Tennyson a master vampire. The thing I admired about these two is their willingness to make personal sacrifices for those closest to them and to achieve the greater good. What made them relatable was the fact despite their powerful capabilities they each had their flaws. Shiloh had her insecurities regarding her position as a leader, but she proved to be the right person for the job. I enjoyed the interaction between the characters, which, was fun, intense and dangerous. I appreciated the ending, cliffhanger free. However, the teams’ job is far from over as the werewolves are still missing. Fans of Urban Fantasy would enjoy this book. I found it enjoyable and cannot wait to get my hand on the next book in the series.